Pottery House: Green Tourism Gold. 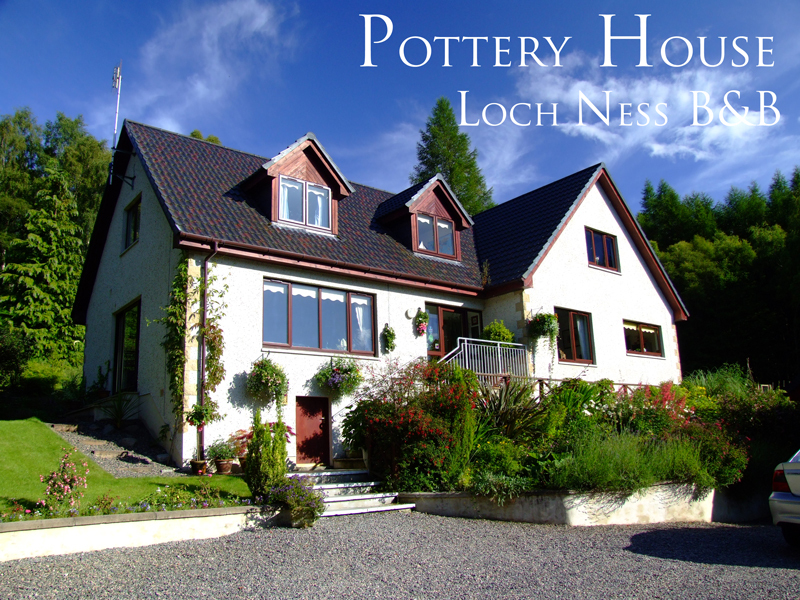 At Pottery House B&B we want to ensure that our impact on the environment is kept to a minimum, especially as we are lucky enough to live in such a beautiful area as Loch Ness and the Highlands of Scotland. That's why we run our business as ethically and environmentally as possible. As much of our waste as possible. Glass, card, paper, tin and aluminium goes to the local recycling centre, kitchen waste is either composted and used in the garden, or is fed to our hens. We even shred much of our paper as possible which can then be used for bedding for the hens and ultimately ends up on the compost heap. We have our own hens who recycle much of our kitchen waste into fresh free range eggs, and their manure is used to feed the garden. Other is composted and used on the garden. We've installed a water recycling system that stores water from our washing machines and makes it available via a tap in the garden for watering plants. We frequently use Freecycle to pass on unwanted household items. We're recently passed on a fridge/freezer, CDs, a kitchen table and chairs. a freeview box, cushions and a slow-cooker. www.freecycle.org or to our local Blythswood Charity Shop. We closely monitor our energy usage. We can then take steps to reduce, such as low energy light-bulbs and A-rated kitchen appliances, and check on our effectiveness as well as investigate issues. The lighting in all our guest bedrooms and the kitchen has been replaced with energy efficient LED spot-lights. Better lighting, lower power usage. 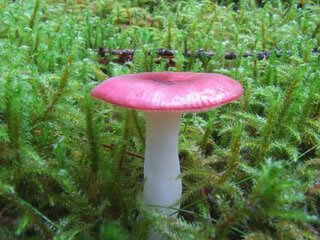 We try to encourage local wildlife through bird feeders, nest boxes, insect homes and a wildlife friendly pond. We are currently replanting a large flower bed with bird and insect friendly plants, and converting a section of lawn to meadow. And we try to encourage visitors to enjoy the wildlife with local walks and our popular nature diary. We have support the RSPB locally by joining the "Friends Of Abernethy" project and are now members of the WWF. We purchase responsibly using "Fair Trade" products, Environmentally safe products (ECOVER cleaners, toilet rolls made from recycled paper, bio-degradable bin bags) and use local produce and suppliers as much as possible. Investigate further renewable sources of energy at Pottery House, such as wind turbines, solar panels, wood chip boilers and ground heat pumps. Be better at marketing ourselves as a Green business and therefore encourage more people to think about the environment when booking a holiday. Make more information available to guests about local wildlife and more environmentally friendly activities. If we do our best to help protect the environment then you can be safe in the knowledge that the impact of your holiday on this beautiful part of the world is kept to a minimum.